The World Bank has held back a $200 million development policy loan to Myanmar due to the persecution of Rohingya in the Rakhine state. “We also assessed the conditions of our recently approved development policy loan and concluded that further progress is needed for the loan to be made effective,” the World Bank said in a statement. 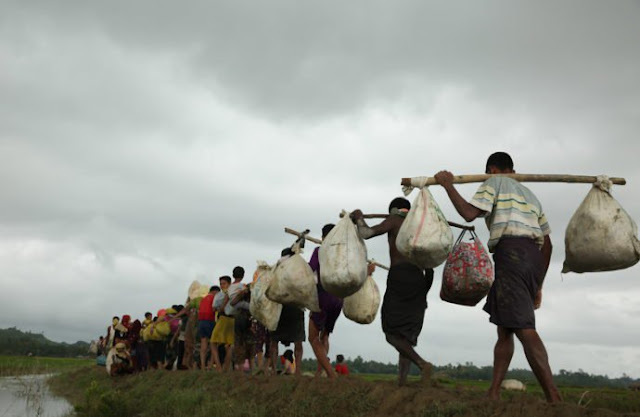 As an institution dedicated to the fundamental principles of non-discrimination, social inclusion and economic opportunity for all, the global lender said they were deeply concerned by the violence, destruction and forced displacement of the Rohingya. “In the context of the crisis we have reviewed our engagement in the country to strengthen our focus on high-impact projects that support education, health services, electricity, rural roads and inclusion of all ethnic groups and religions, particularly in Rakhine state,” reads the statement seen by UNB. The global lending agency said it is coordinating closely with the UN and the wider international community. “Together we are encouraging the government to take urgent steps to deescalate the situation and support a broad and inclusive humanitarian response, including paving the way for the return of refugees and internally displaced populations,” the statement said. Earlier, Bangladesh asked the World Bank for support to cope with hundreds of thousands of Rohingya refugees. How is China fooling everyone? Do you ask about Dr Aafia Siddiqui ?? !